We bring forth our vast industrial experience and expertise in this business and are instrumental in providing Power Solution. Furthermore, this service is executed by our highly knowledgeable professionals. Whether it is a residencial apartment or an office LIFTs became a must to reachout to higher floor levels. LIFTs works well only if the power supply is healthy. 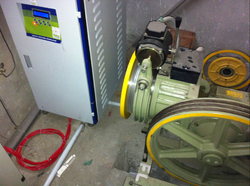 At times the main power supply fall below or goes up to higher voltages damaging the LIFT motor or the controller. 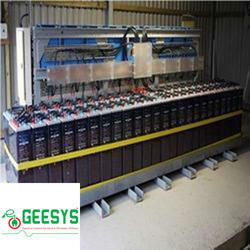 GEESYS Offers Servo controlled voltage stabilize for the entire LIFT. Our Servo voltage stabilier maintains the voltage at set level at all times. Through the intelligent LCD display, the user can read input and output voltages, and load parameters. 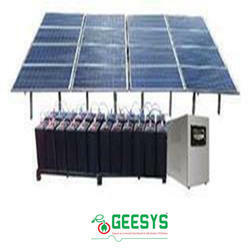 We have carved a niche amongst the most dominant names in this domain, involved in providing Off Grid Power Solution. We are a most trusted name in between the topmost companies in this business, instrumental in providing On Grid Power Solution.